Aloha! It has been a usual Monday at work today, nothing exciting to report & I didn’t wear a massively interesting outfit. Instead I have a blast from the past for you. I wore this outfit a few weeks ago now & it is one of my favourites. 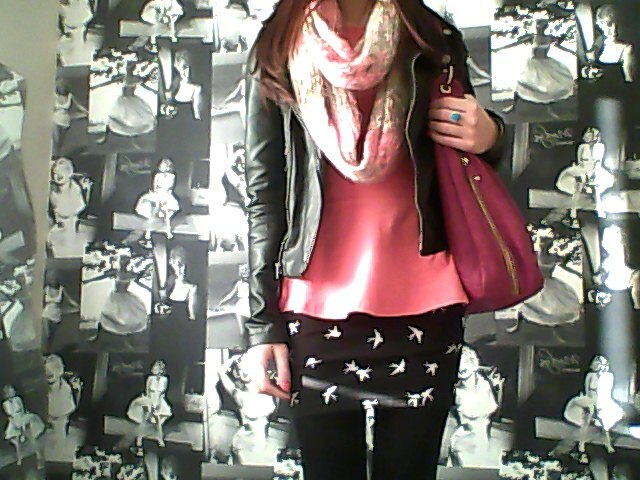 I picked up this cute swallow skirt in H&M for a bargain price of around £7.00. I teamed it with my coral peplum top from New Look of a burst of colour. 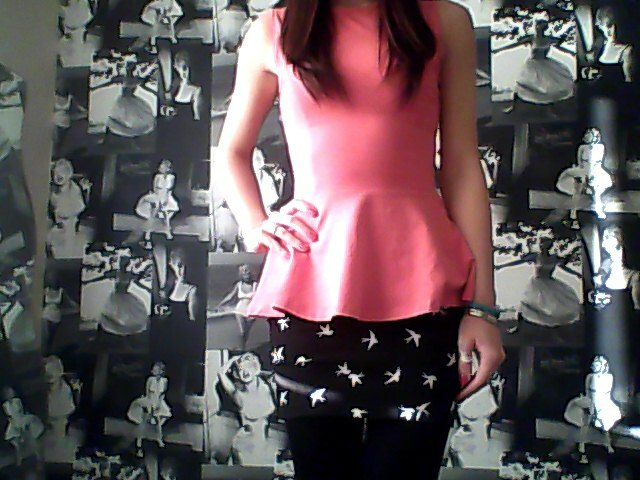 These peplum tops have been one of my best buys this season. They are very easy to style & go with a wide selection of pieces in my wardrobe. The weather is still pretty bad here, I am completely fed up of snow! I started thinking about Summer, to get me through these dark, dull days & I want to get myself a pair of Ray Ban Sunglasses. 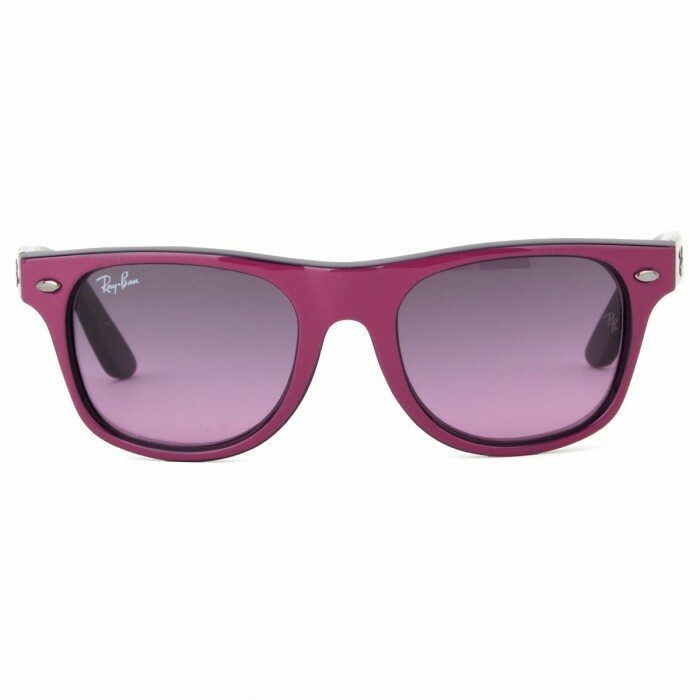 I am thinking of getting some purple ones such as these. What do you guys think? Anyone know where I can purchase a purple pair from? Must ship to the UK! Those RayBans Are Awesome, I Might Have To Scout For Those This Summer! They are so cute aren’t they? I want them so bad!